Northern Ireland Water is stockpiling purification chemicals as part of its Brexit plan, it is understood. There have been concerns that disruption in trade with the EU, as a result of a hard Brexit, could lead to shortages of some chemicals. Most of the chemicals that NI Water uses are manufactured in the UK or Ireland. It will nonetheless hold months worth of additional stocks at its own premises and at supplier warehouses. Those chemicals which NI Water imports from the EU enter the UK via east coast ports rather than through Dover. Dover is expected to be the main "pinch-point" in the event of any trade disruption. Disruption could happen if EU authorities impose normal third country control on UK lorries entering the EU. Additional checks at ports could cause delays which would then ripple through logistics networks. 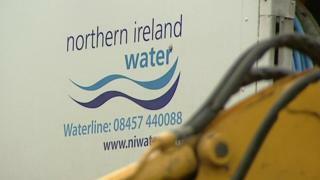 BBC News NI understands that NI Water has undertaken a comprehensive analysis of its supply chain to look at where its chemical supplies originate and how they get to Northern Ireland. That has involved conversations with suppliers, manufacturers and hauliers. As well as looking at chemical supplies it has also involved an analysis of the sources of spare parts for plant and equipment. The company said it had "built a highly-detailed understanding of chemicals transport routes and storage arrangements throughout the UK. "This has allowed us to enhance our contingency plan to address the specific risks for Northern Ireland associated with Brexit. " It added that the focus of its preparations is "very much on taking actions to mitigate risks of an incident occurring." It said customers should "feel reassured that we are prepared and arrangements are in place for minimising risk." "This has allowed us to enhance our contingency plan to address the specific risks for Northern Ireland associated with Brexit."